Posts like this--How To Read Like A Writer--are why I love Chuck Wendig's blog. Makes sense! Of course the saying--A writer must read and write--is true as far as it goes, it's just not terribly helpful due to its generality. Chuck Wendig gets beautifully specific. I have trouble with this. For instance, I'm currently reading Kim Harrison's latest book in her Hollows series--Ever After--and whenever I start reading it I'm sucked in. Every time I try to snap out of the story and examine the words she's using--examine how she's able to submerge me in her world--I get sucked in again! But, yes, being present in the text is something I strive for. Though, tragically, it is easiest to achieve when I'm reading a book I'm lukewarm about. [A] chef doesn't just eat to enjoy. A chef watches how another chef operates. A chef wants to look at technique and then wants to see how that technique translates to the food on the plate: what ingredients are present? What textures and spices? What ancient shellfish from beyond space and time? A Chef wants to understand how the other chef creates his culinary magic. And, when you do read something, you learn from it by dissecting it--what is the author doing? How are the characters and plot drawn together? That reminds me of something I wrote down in my writing journal earlier today: Create a goal for your character that will eventually force them to deal with their unique weakness. - What is the protagonist's weakness? - What is her external goal? I think that the stories I would rate as mediocre probably don't do the above well. - How did the author write this? - Why did the author write it this way? Why did she choose the words she did? - What is the ratio of dialogue to description? 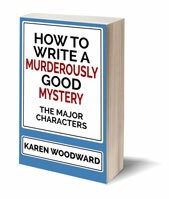 - How does the author handle character? Setting? Action? - How would you do it differently? As Chuck Wending notes, a critique is an analysis. 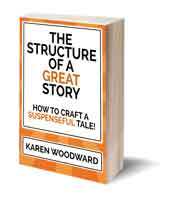 I came across an excellent article the other day about how to structure a story. One idea I had for a blog post was to take a classic short story--a very VERY short story--and analyse it in terms of character development, pacing and story structure. I think doing that sort of analysis would benefit me more than reading any number of books solely for pleasure. Chuck Wendig advises us to "look beyond the words". - What themes are at work? - What ideas are expressed? - What were the author's childhood traumas? Look for the author's personal contribution to the unfolding story. - What is the subtext? Those are two separate skills (or crafts, or arts, or magical leprechaun incantations or whatever you want to call them) — the story comprises all those narrative components and the writing comprises the language that communicates those narrative components. Both have structure. Both utilize the other. Separate but then ask: how and how well do they work together? Watch television. Films. Games. Get scripts. Read those. You’ll learn a lot about dialogue and description. You’ll learn the architecture of story. If all you do is read in the genre in which you write and/or enjoy, you’ve created for yourself a narrative echo chamber — your own authorial intentions are boomeranged back to you. You gain nothing. [I]f this writing thing is what you want to do with some or all of your life, then accept that reading is part of the job. And this job demands that all the lights in your brain are turned on, not dulled to a dim room in order to passively absorb the haw-haws and ooh-aahs of entertainment. Read like a writer, goddamnit. 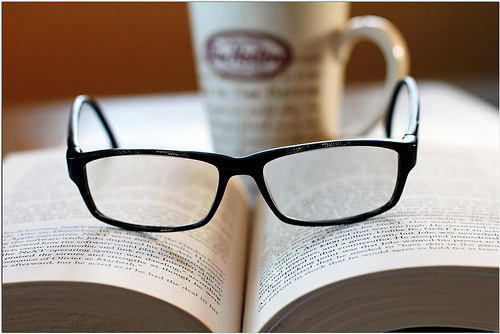 Do you read like a writer? What questions do you ask when you read? - Author Solutions: The New Carnys? Photo credit: "Week #1 "New" [1of52]" by Camera Eye Photography under Creative Commons Attribution 2.0.